This year Mr. Frugalista and I are hosting the Christmas Feast. Thinking ahead about how I'll create a festive tablescape I decided to make these easy peasy Holiday Flatware Pouches. I made three different styles and the one that wasn't my winner, I gave as hostess gifts. Everything I used for the pouches was purchased at Michaels on clearance...Happy Dance. I couldn't decide if I wanted to go a Traditional Red, or Glitz & Glam, or a Natural color scheme so I made one of each. For this style, I used 4 1/2-inch wide cream colored burlap ribbon and 1 1/2-inch gold glitter chevron ribbon. Cut burlap into 15-inch pieces x 8 (for a set of 8 pouches). Cut chevron ribbon into 5-inch pieces x 16 (2 for each pouch). Fold each end of the ribbon 1/4-inch (should have a 4 1/2-inch wide ribbon) and stitch in place. Fold ribbon in half (like binding) and place on the top of each piece of 15-inch burlap and pin in place. Fold the bottom half of the burlap over 6-inches to form the pouch (see picture below) and pin to hold. On the top of the fold pin a 1 1/2-inch piece of chevron ribbon. Unpin the fold and sew the ribbon in place, again as close to the edge as possible. Refold the burlap 6-inches and pin the side seams together. Sew the side seams together with a 1/4-inch seam allowance. TIP 1: I sewed the seam all the way to the top but you can stop where the fold ends. 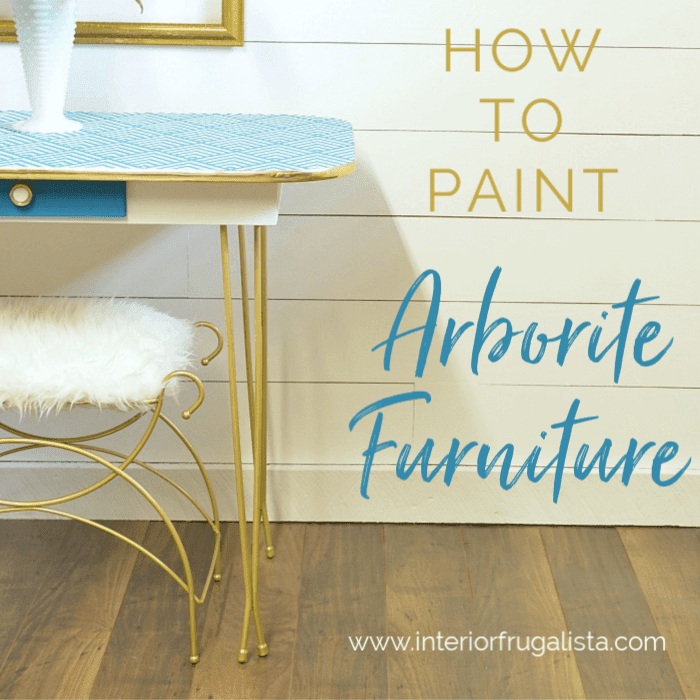 TIP 2: Use a contrasting thread color like metallic gold for a decorative finish. I really liked the glittery gold chevron ribbon with the cream colored burlap and they pair so well with my gold placements. However, they were not the winning cutlery pouch for my Christmas Tablescape. I'm a sucker for holly so I made these ones using a more open weave natural 5-inch burlap ribbon. Cut Red Burlap Ribbon into 5 1/2-inch pieces x 8. Cut Christmas Burlap Ribbon into 5 1/2-inch pieces x 8. Fold each end of the ribbon 1/4-inch (should have a 5-inch wide ribbon) and stitch in place. Place red burlap ribbon on the top of each 15-inch burlap and pin in place. On the top of the fold pin Christmas burlap ribbon. On a tighter weave burlap, draw holly leaves using a black marker and cut them out. Iron Heat n Bond onto the back of each leaf using an iron (follow instructions on package). Fuse the holly leaves to the front of the pouches with an iron (as pictured below). Sew red wooden beads in the center of the holly. 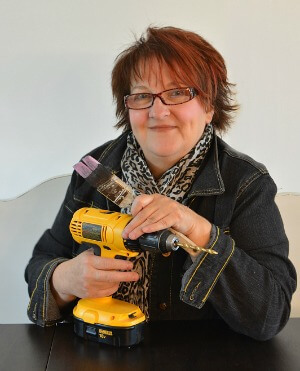 TIP 1: Use a contrasting thread color like red for a decorative finish. TIP 2: Sew the seam all the way to the top but if you would prefer, you can stop at the top of the fold. I really liked these but they were not the winner for my Christmas Tablescape. I'm a huge fan of all things red, especially during the holidays. These were the winning pouches to adorn my Christmas Tablescape. Simple yet have that punch of red that goes so well with my holiday decorating scheme. 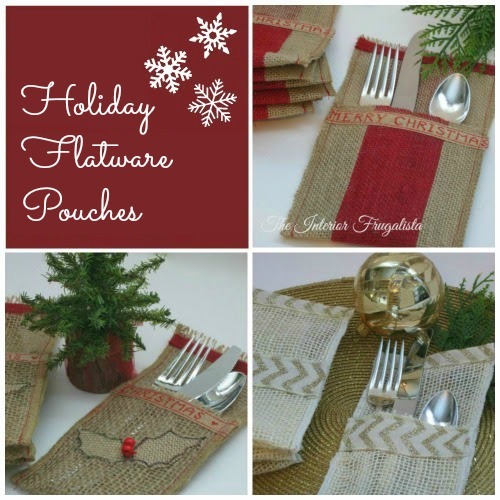 If you like my Burlap Holiday Flatware Pouches please share with a friend and/or save on Pinterest. Which of these would be your personal preference for your Christmas Dinner Tablescape? If you would like more "stitched" holiday decorating inspiration, I made a Christmas Tree Skirt From Ruffle Scarves. I also made these adorable Stiletto Boot and Hockey Skate Stockings. My Skating Silhouette pillows add a nice vintage touch during the holidays.